Our featured iPad painting today is titled ‘The bad, the ugly, and the mollo’. It is the work of Álvaro Tajada Portalo. 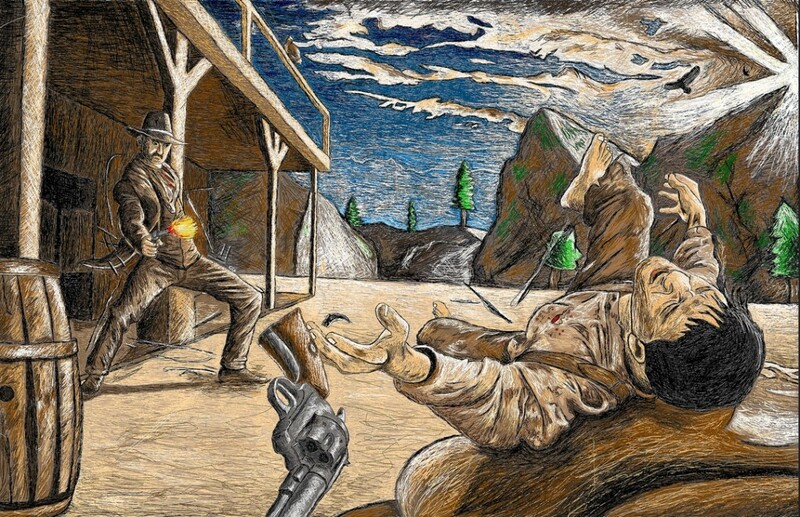 I think it’s a great, dramatic image showing the critical moment in a gunfight. It’s listed as ‘in progress’ so I’ll look forward to seeing the final version as well – though it certainly doesn’t feel like it lacks anything major as is. 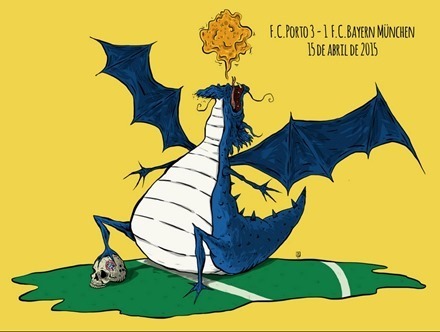 You can see more of this artist’s work at his altapor Fickr stream. And of course you can browse through numerous great iPad paintings in our own iPad Art section. Before smart phones with turn around cameras there was the self-timer. Spinning and whirring it snapped seconds after you decided to relax. The iPad artists who created this one, as you might already know if you follow our iPad Art posts, is Deborah McMillion – aka Hotel Midnight. I’ve often said how much I enjoy her short back stories on her iPad paintings – and this one is another great example of why. I also love the iPad painting itself. Love the spiky hair on the three ladies in the foreground, the photographer’s smile, and all the fun things going on in the background. To see more of McMillion’s great iPad paintings, and accompanying words, check out her Hotel Midnight Flickr stream. And of course you can explore and admire lots more great iPad paintings in our own iPad Art section. 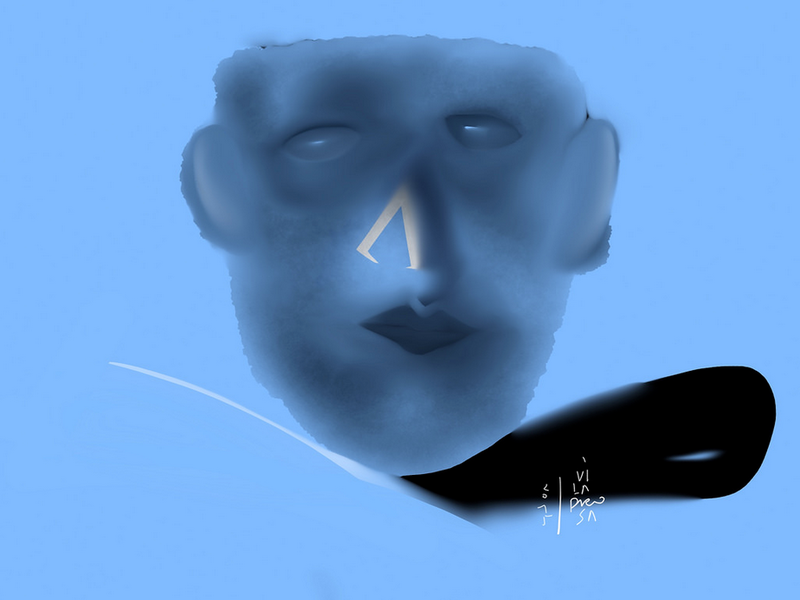 “Round Midnight’ is the title of today’s featured iPad painting. It was created by Helene Goldberg using the ArtRage iPad painting app. 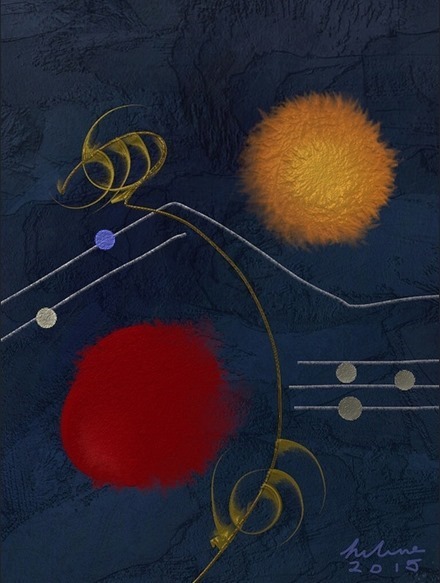 I think this one makes you think about jazz or blues and late nights and music at midnight – and those are some fine things to think about. 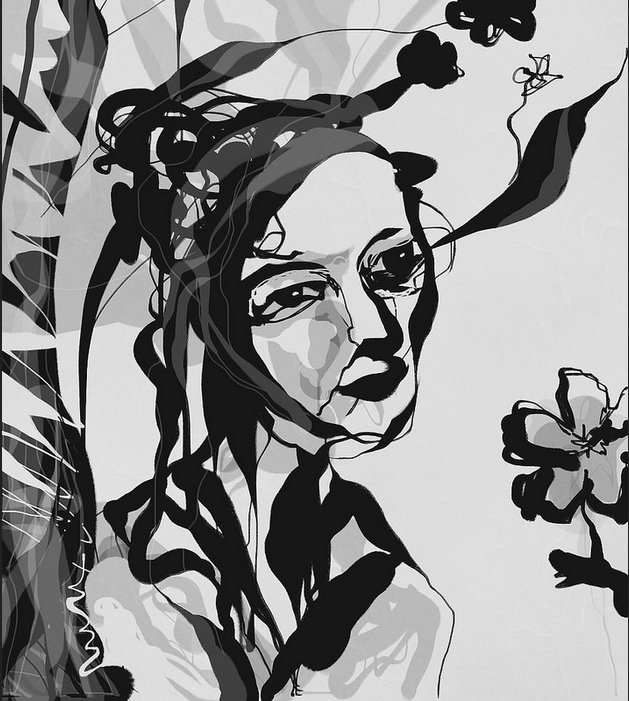 You can see more of Helene Goldberg’s excellent artwork at her hgberk Flickr stream. 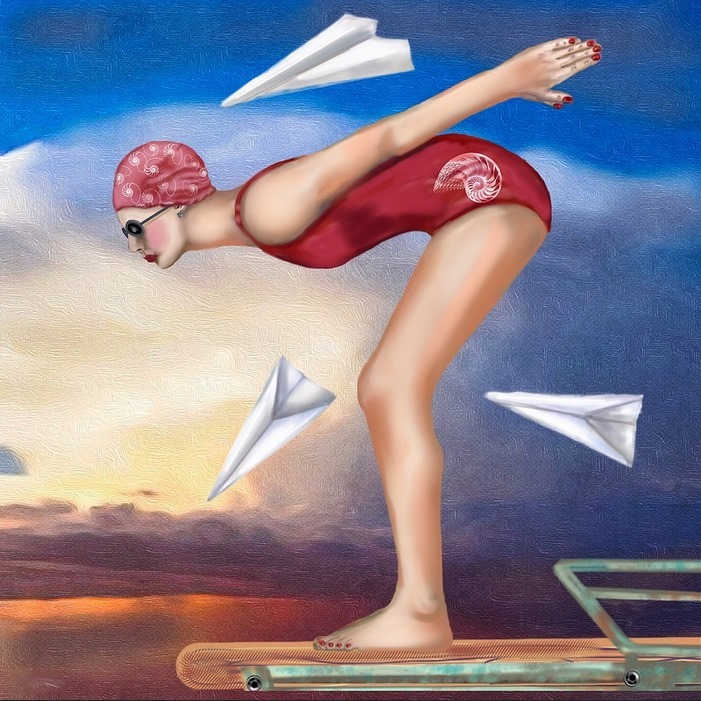 And of course you can check out lots more incredible iPad paintings in our iPad Art section. This iPad portrait of the presumed MVP and definite MEP (Most Entertaining Player) in the NBA this year, Steph Curry, is our featured iPad painting today. 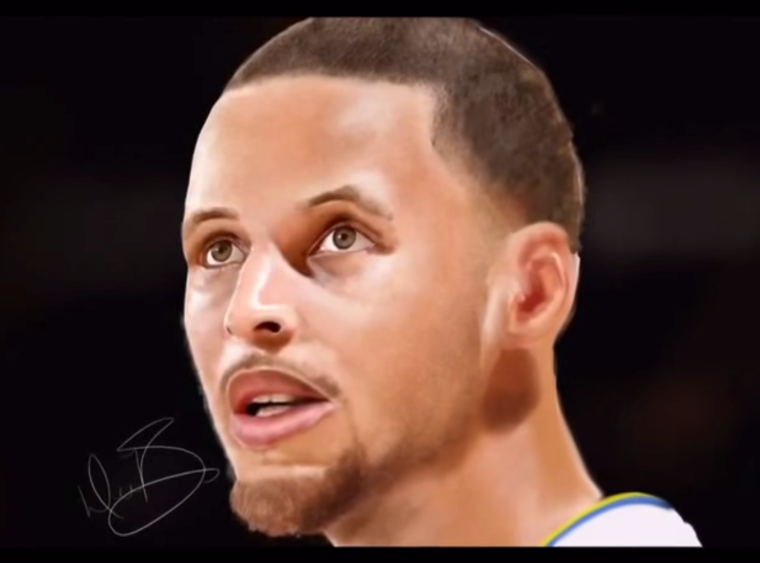 It was created by Google+ user Devin Booker, using an iPad mini and the Procreate app. I actually cheated a little here and screen captured the final image from Booker’s iPad speed painting video on YouTube. I hope Booker may decide to provide a final version and then I’ll replace the above image. In any case, I love this portrait of Steph Curry, who has been my favorite basketball player to watch ever since he was tearing up March Madness with Davidson. 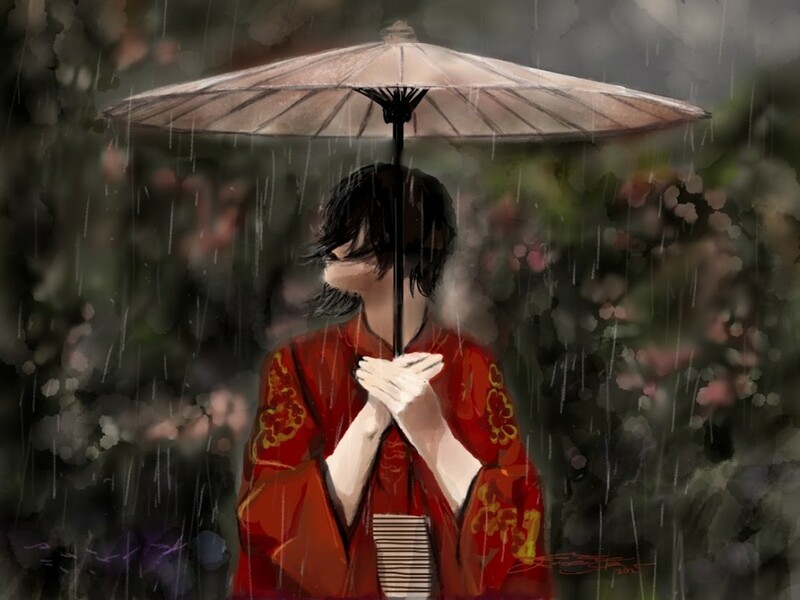 To see lots more excellent iPad paintings, take a look through our iPad Art section. 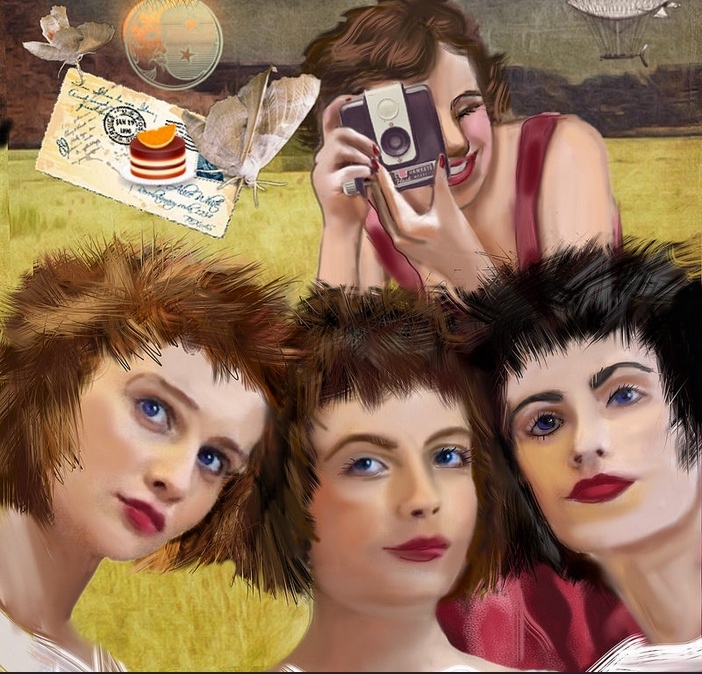 Our featured iPad painting today is titled ‘Mis extraños amigos’ – or My Strange Friends in English. It was created by Albert Viladrosa, one of our big favorite iPad artists, using the Paper by FiftyThree app. This iPad painting grabbed my attention and kept it as soon as I saw it in our Flickr group. I’m gripped by the angles in the strange friend’s face, the orange hat, and the colors throughout the image. 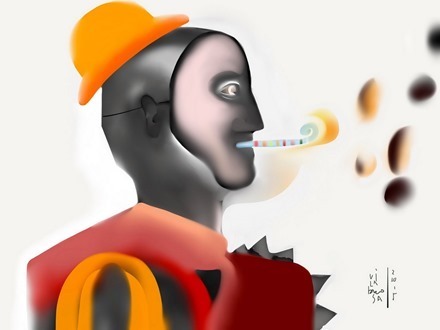 You can see lots more of the prolific iPad painting work by Albert Viladrosa by visiting his Flickr stream. If you want to browse a broad selection of incredible iPad paintings by a number of great iPad artists, check out our own iPad Art section. A portrayal of their love.” An original iPad finger painting of Mr and Mrs Lee done with Procreate app. A tribute to the late Mr Lee Kuan Yew, the founder of Singapore, and forever a source of inspiration to Singaporeans. I like that this iPad painting feels full of love and happiness. 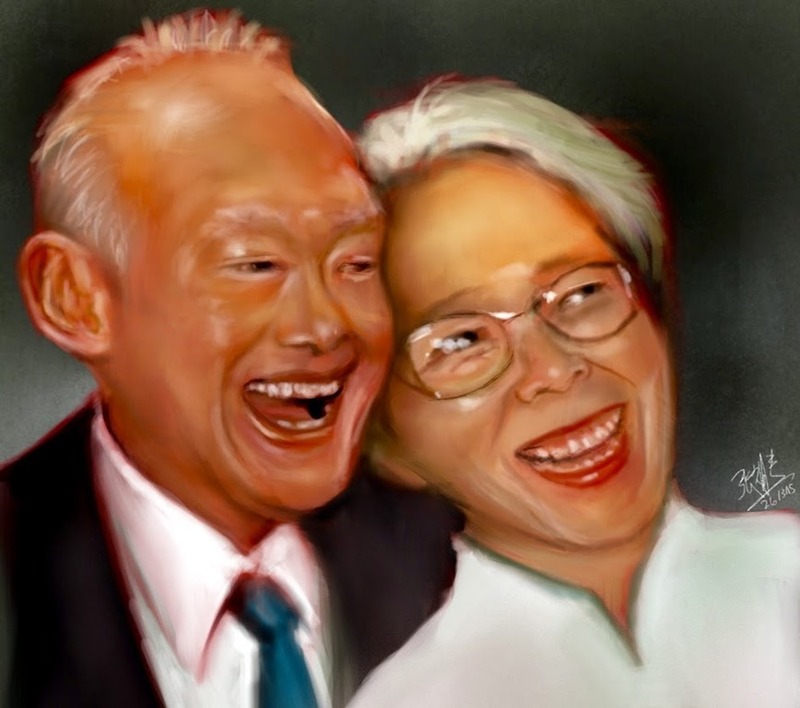 I’m ashamed to say I had not even heard of Lee Kuan Yew before seeing this painting. A quick read of just his Wikipedia page has taught me that he was a hugely impressive man. And that just makes this piece even more compelling. To see more of Woon Tien David Chong’s excellent iPad paintings, check out his Facebook art page. And of course if you’d like to see lots more beautiful iPad paintings from a number of superb iPad artists, then you need to take a look at our own iPad Art section.